Deftones fans were in full force Saturday night eagerly awaiting one of their favorite frontmen of all time to take the stage in San Francisco once again. 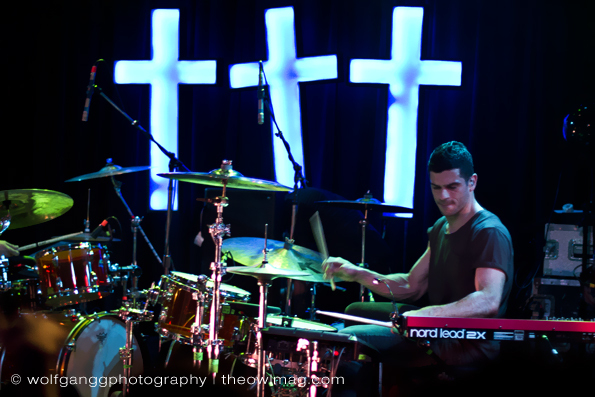 It’s been a long time since anyone’s seen him in such a small venue and Slim’s was packed and a-buzz with anticipation of Chino Moreno‘s latest side project, Crosses. With only two short EPs currently under their belt, I was very anxious to see what was going to become of the stage once the band took it. 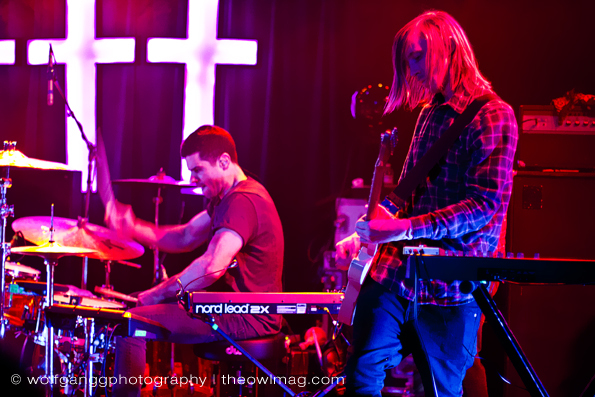 Originally the band consisted of the aforementioned Chino Moreno along with Chuck Doom, and one of Chino’s longtime friends and guitarist of another local fan-favorite band, Far‘s Shaun Lopez. 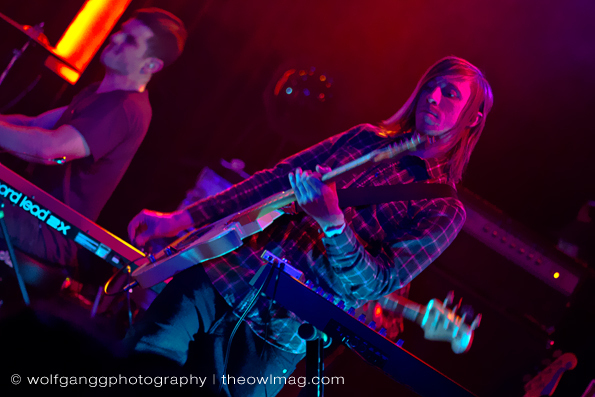 Onstage, however, they were joined by Chris Robyn on drums, also of Far fame, Dino Companella of Dredg on another set of drums, and Jono Evans of Endless Hallway. That’s a lot of talent for such a small stage. 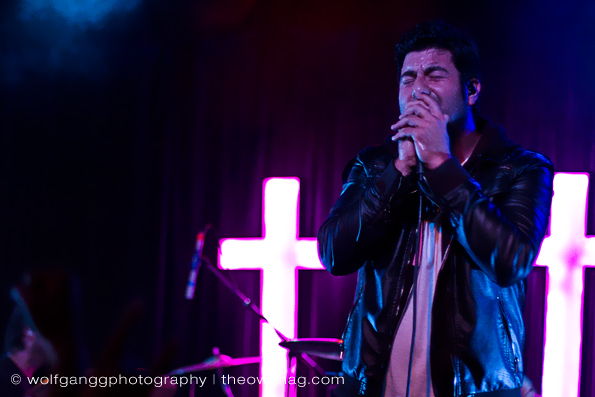 There really is no denying that Chino Moreno was the star of the show. While I was excited to see some of the other members of the Crosses live tour as well, it dawned on me that most people were there just to get a glimpse of all that is Chino. And needless to say, it is deserved. He is one of the greatest frontmen of our generation, and anyone who has seen the Deftones in a small venue can attest to that. 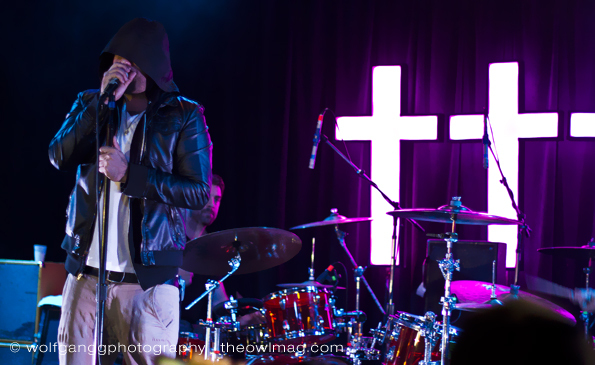 When he took to the stage, the crowd erupted in a frenzy that was as expected as it was inspiring. For the rest of the night, he gave them exactly what they wanted; he swooned, wined and dined, he made everyone feel at home. 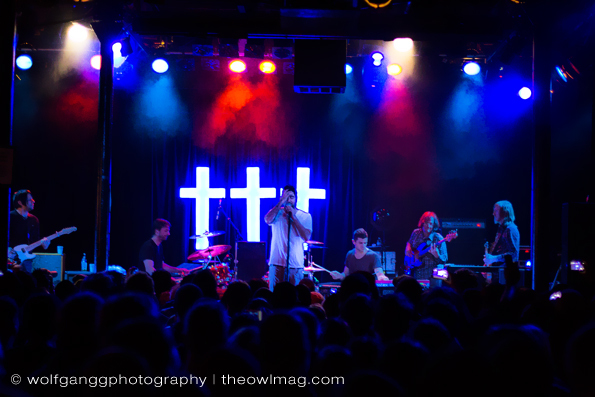 Crosses shone behind the band as they played through their entire catalog, changing colors from blue to red to white to purple and back again, giving an ambiance on stage that is so rarely seen in smaller venues as this, and it left me awed. Simple touches like that make for a more memorable show and I applaud whoever green-lit the idea. After a couple more songs, the night ended. And where were we? Back to square one with another of Chino’s side projects? Maybe. But there’s something so refreshing about knowing that you caught something so special the only night it was going to happen (at least in this city). 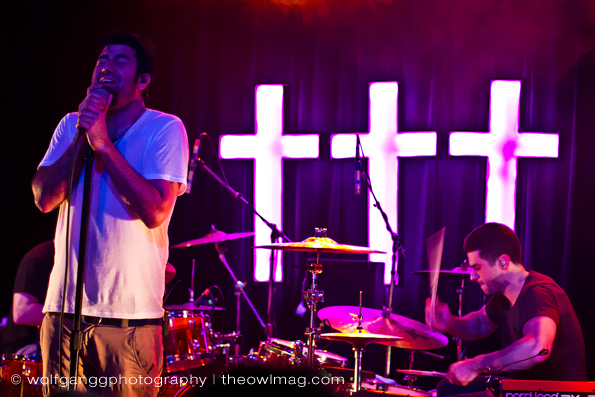 We may never get to see Crosses onstage again, or maybe we will, but that’s what keeps live music so fresh, so personal, and Chino knows that. These people love making music, and they love to move forward. They don’t dwell on the popular, they dwell on what inspires them, what keeps them doing what it is they love to do. And seeing that happen live in front of you, well, that’s an experience to remember.